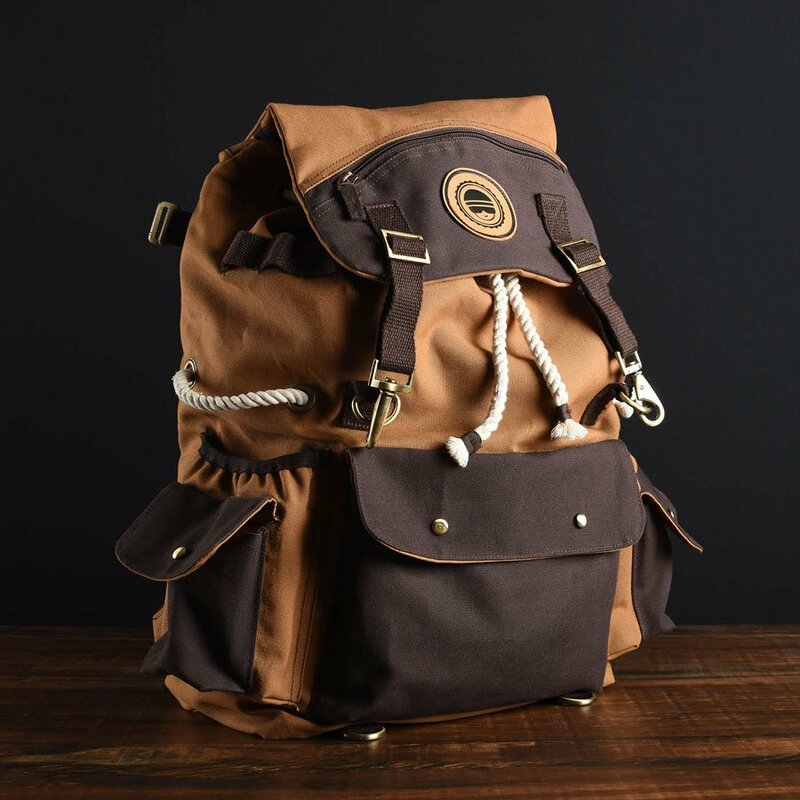 This steampunk-inspired bag is a multi-purpose ultra-durable backpack that can be taken to the roughest places in middle earth. 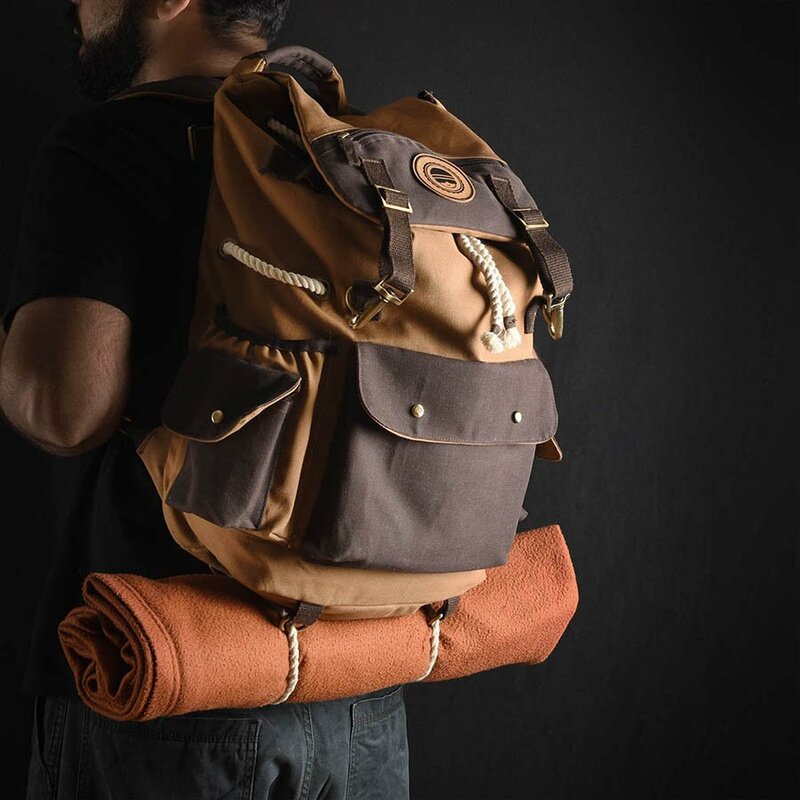 The Explorer Bag is designed keeping in mind a true Trooper’s needs – from crazy last minute hikes to everyday use. Material Used: 100% Cotton Canvas, Brass-Plated Fittings, Cotton Ropes. Specs: 17″ Laptop Side Sleeve. 30L Capacity. 2 Bottle Holders. 1 Front + 2 Side Pockets. 2 Hood Compartments. Get 80 Trooper Coins on this purchase! 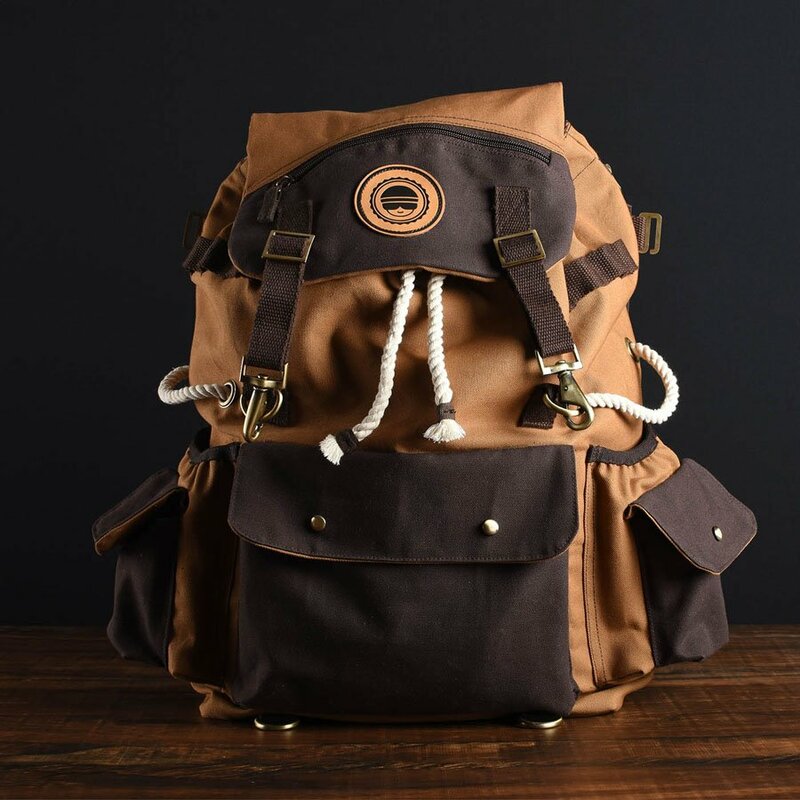 Made from tough and long lasting 100% cotton canvas. Stitch has been reinforced on the straps to provide additional strength. Brass plated metal buckles and hooks for locking and mounting various items. Waterproof inner-lining to prevent against light rains and accidental spills. 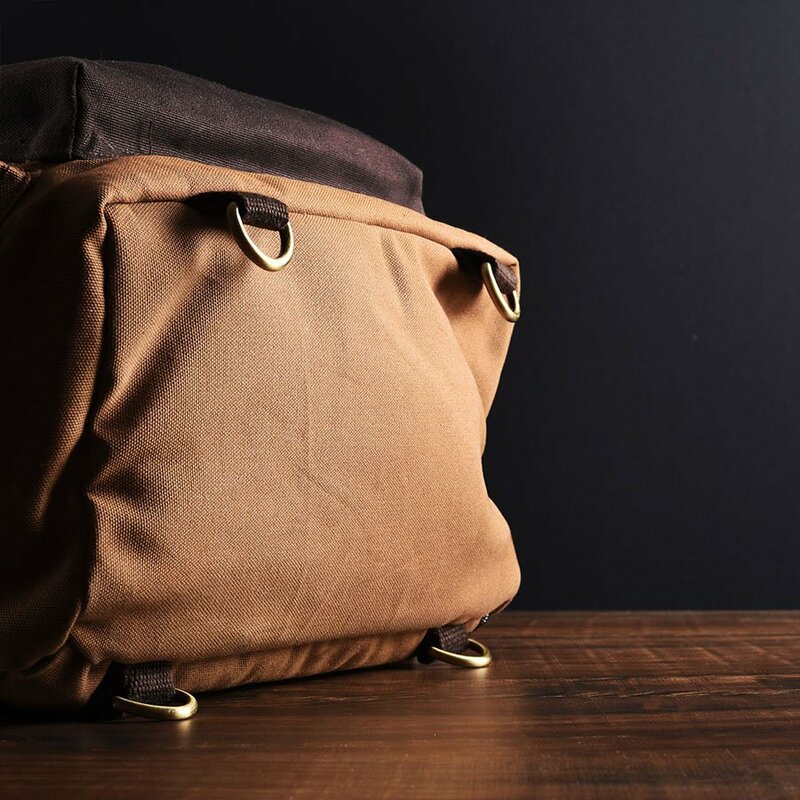 The bag features collapsible main compartment that nicely holds all your daily objects but can also blow up to 30 liters of capacity to transform into an ideal vacation bag. Also has a strategically hidden secret pocket if you’re carrying around valuables like cash, concert tickets, chocolates, etc. and need to keep them hidden from your greedy little friends. 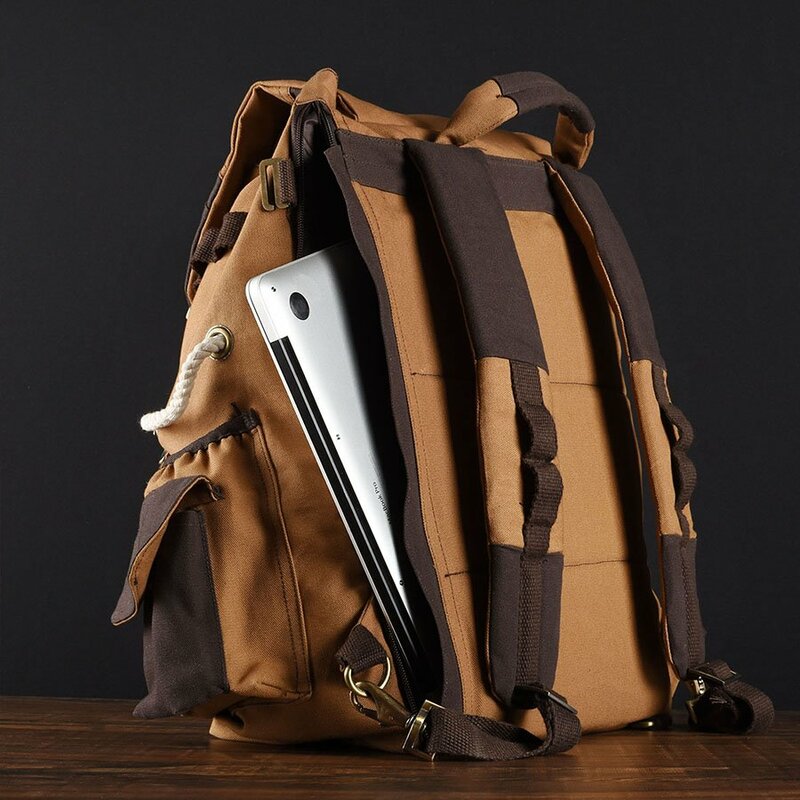 The Trooper Bag features a special side-facing laptop sleeve that will do away the need to keep unzipping it frequently and having things fall out. You know like your smelly socks and packets of chips. (And no one gets a peek at your secret stash!). If you’re a frequent traveler, this makes airport security checks a breeze. Front: Dedicated pockets for everyday essentials like powerbanks, earphones, books, etc. Chillar Pockets: Two easy access pockets have been provided on either side so you can quickly take the change (or any small knick knacks) out without having to remove the bag while wearing. 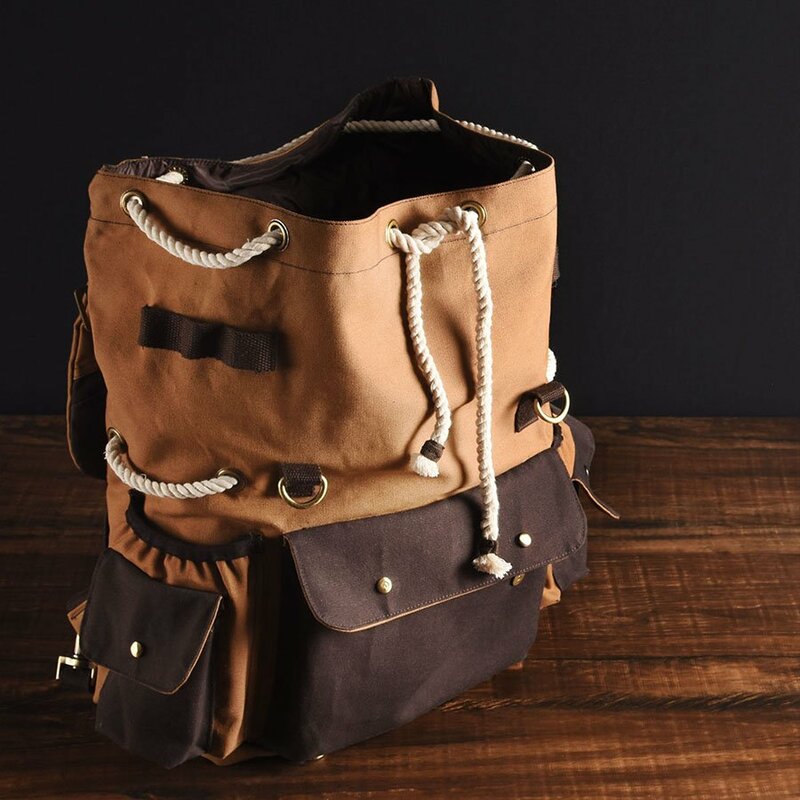 Hooks and Loops on various places enables this bag to become the ultimate Trekking / Hiking gear. 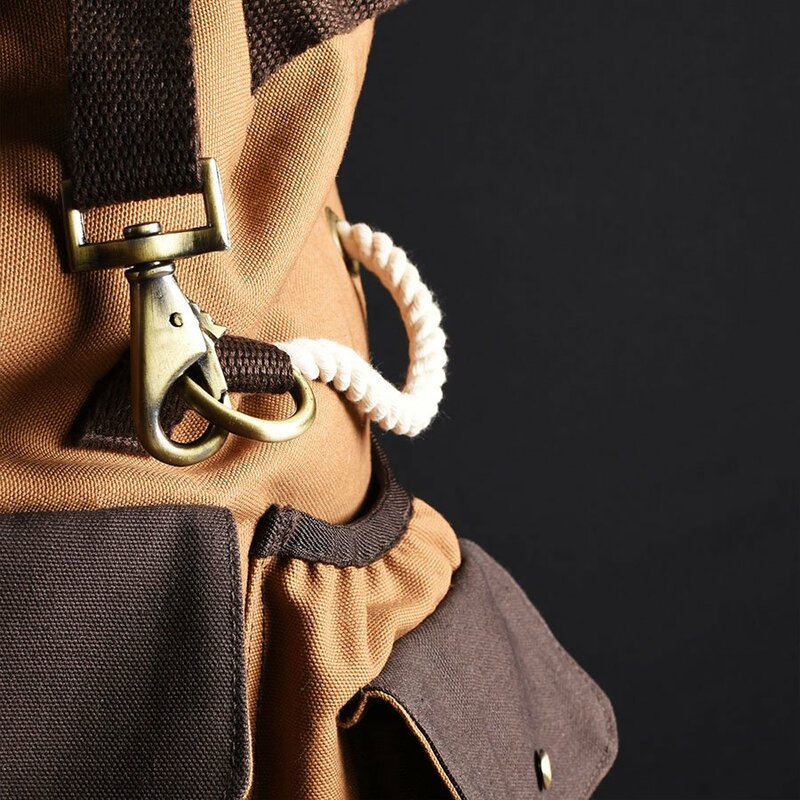 Front and shoulder loops can be used to hang small accessories like caps, keys, camera; while the bottom hooks can be used to fasten your shoes, sleeping bag, yoga mat, jackets, etc. Saving best one for the last! 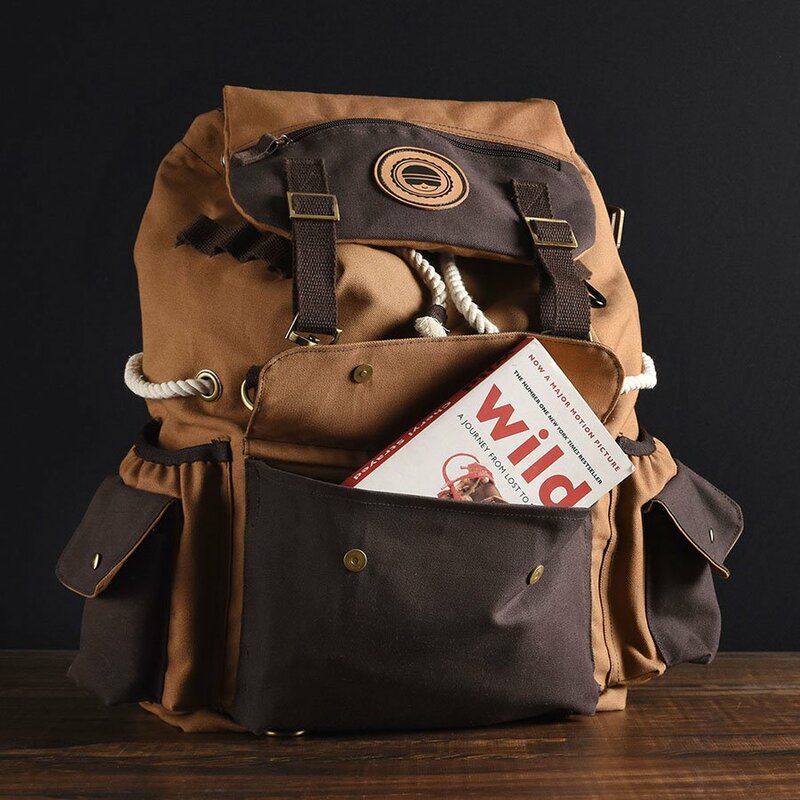 In the new version of Explorer, we added a custom-designed G-hook on the sides which can be used to attach it to any of the 3 loops, allowing the bag to expand and contract depth-wise as per the contents. Stepping out for a meeting with just couple of books? Hook it to the last loop. Going for an overnight trip with one extra pair of clothes? Hook it to the first loop and you just made some extra space. 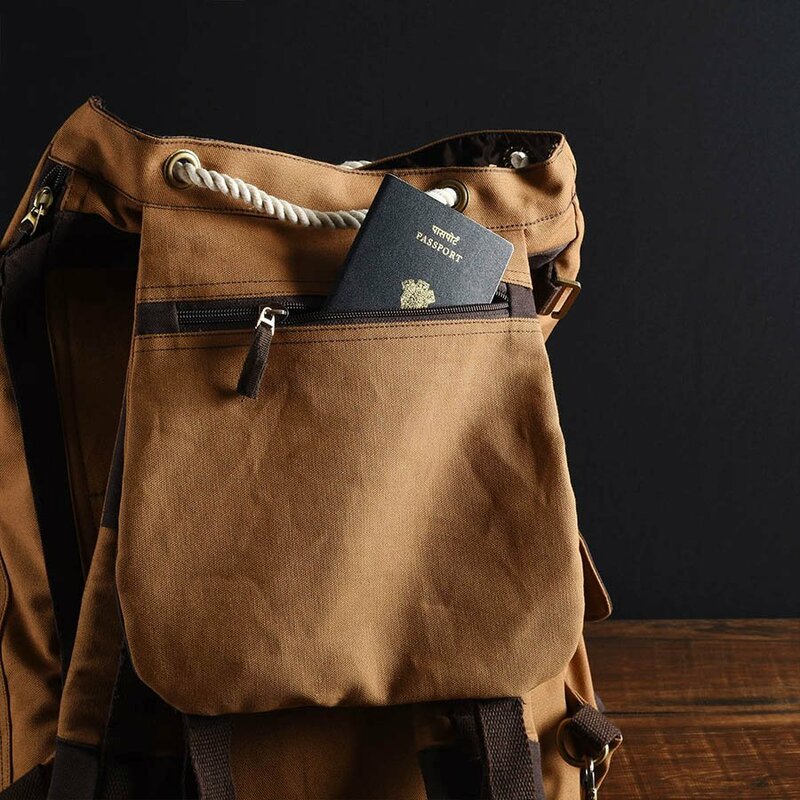 Time to start packing for that trip you have been planning since months? Release the hook and voila! your Trooper Bag has expanded. Could we have done a better job on the design? We think not! This is one bag that does it all! 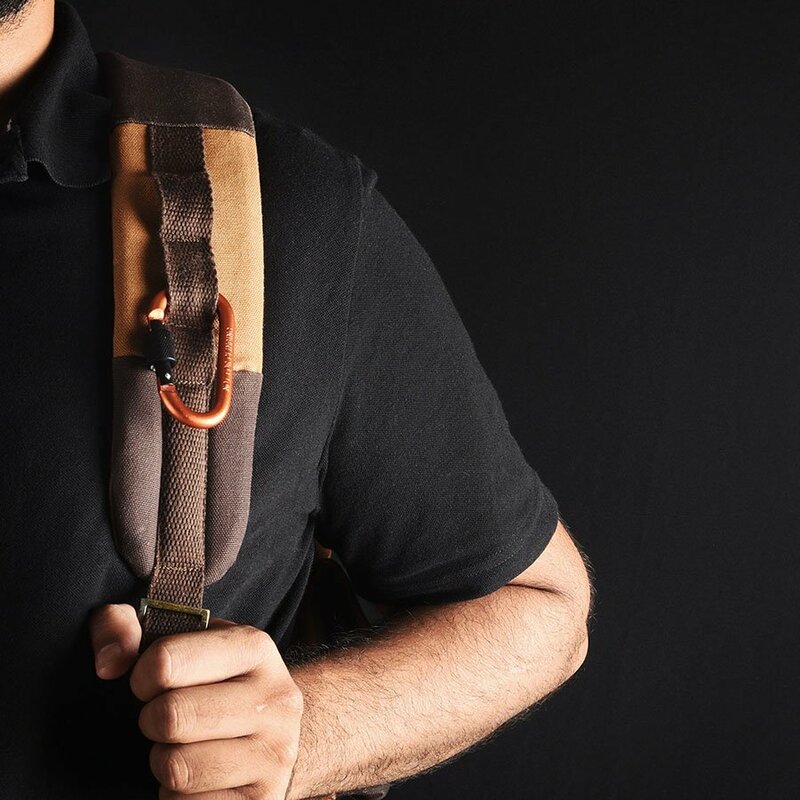 Tag us on instagram @BombayTrooper sporting your Explorer Backpack and get featured here.